A notice posted by Massachusetts Attorney General Maura Healey on Thursday warned that those who print 3D guns in the state risk both their freedom and treasure in doing so. The warning, issued jointly by Healey and a number of the Commonwealth’s law enforcement lobby groups, holds that “creation, transfer, or possession” of a gun made with a 3D printer can open an individual to both criminal and civil liability under Massachusetts law. 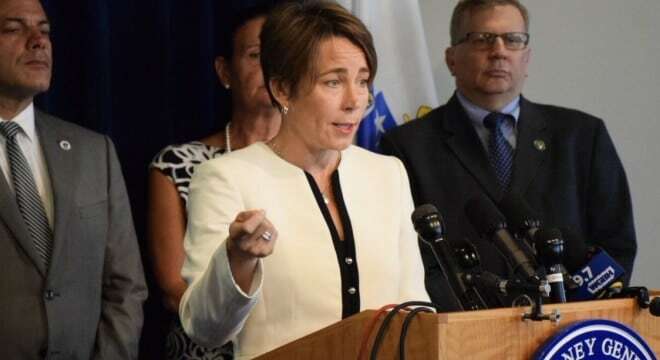 “These 3D-printed weapons will be used to evade Massachusetts’ strong gun laws, and my office and our law enforcement partners will do everything we can to keep deadly homemade weapons off our streets and out of our schools,” said Healey in a statement. Meanwhile, a preliminary injunction hearing in the case blocking DefDist from releasing their digital files online is scheduled for Aug. 21, with a host of states and gun control advocacy groups rushing to submit briefs to the Seattle-based federal court that issued the current temporary restraining order last week.